Pittsburgh Earth Day will Paint the Square Green on April 22nd! Market Square will feature a world market with a mix of local vendors specializing in Earth-friendly products and services, along with organic and educational vendors and live music. 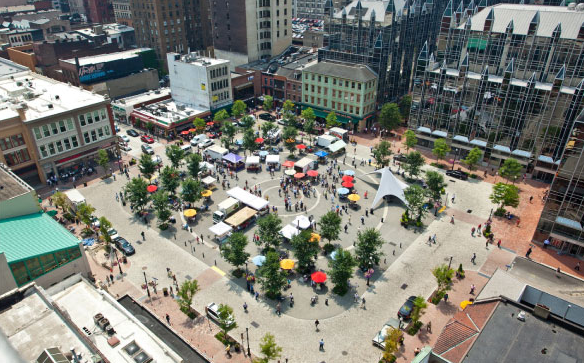 Market Square, located in Downtown Pittsburgh was modernized in the late 2000s has re-established the square as a social and cultural hub featuring numerous restaurants, cafes and retailers along with housing units and offices.